Well, I said there would be a next time, and here we are again. 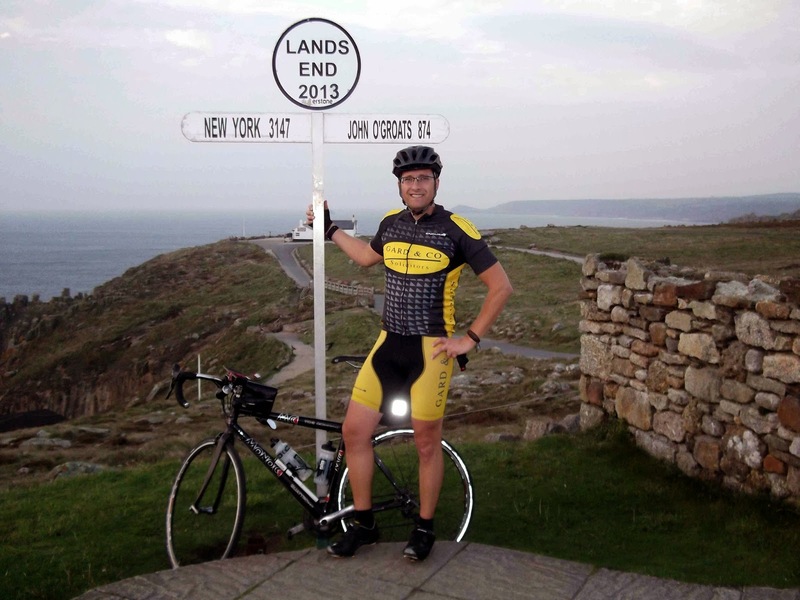 Only this time going from Land’s End to John O’ Groats and before anyone else says it – uphill! And all because this man has something to prove to himself for not completing LEL after being hit by a lorry (who for all we know is still denying it…). I mean some people (normal people) think Roy accomplished the challenge just by starting! Stupid husband! (In our family (including the dogs) stupid means anything that gets in the way and doesn’t behave as it ought to, like horses, chairs, bean bags and yes, sorry to say it, now husbands. You can see the pattern.) But Roy is Roy and I am frustratingly proud of him and willing him safely home. Right before we need to invest in a box tissues and any violinists appear, let’s get bloke-ish and look at some stats for this challenge. Don’t you just love it when the directions says “Start: Land’s End signpost. End: John O’ Groats signpost”? At the start post. Pic taken the evening before – would be dark at start. 06:39 – Had breakfast. Off in 5 minutes or so. 11:10 Phone call – 40 miles in, roughly around one third in. Shoulder starting to hurt but possibly due to stress of being on A30 (I thought he said he was on quiet roads on lanes. Well apparently there aren’t any in the first part of Cornwall…) Windy but sheltered in lanes. Slept well with no one bashing him or poking him (no read on…) in the ribs. (At this point I should explain that our youngest son has taken to being scared of the dark and comes into our bed most nights, any time after midnight. Has anyone got any tips how we get over this?) Stopping to take notes is taking some time but route is working. Sat Nav has not taken a step wrong. (Oh hello, I can see we’re entering this love/hate relationship again with the Sat Nav/Naff (delete as appropriate). 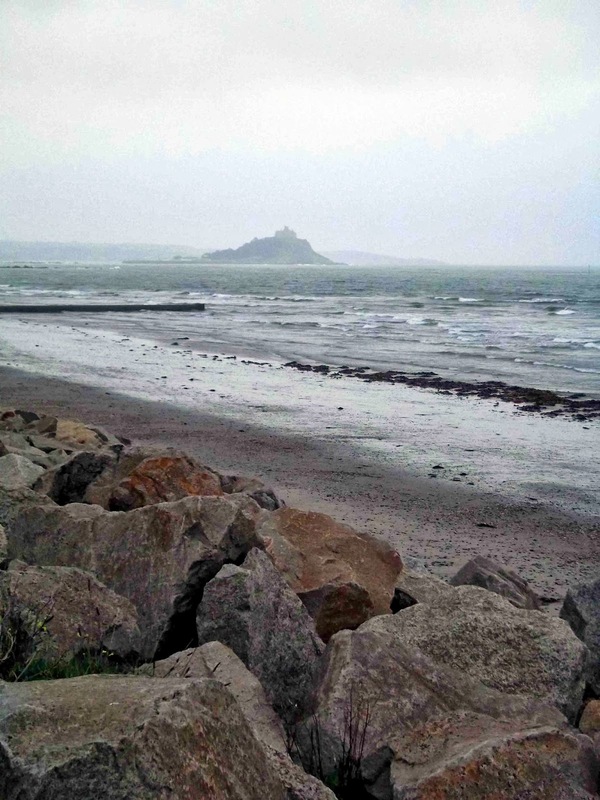 St Michael’s Mount Nr Penzance. 20:15 I’m here. Will call once settled. Most welcoming B&B with my stuff littered about. And that pretty much sums it up for today. Till next time….